As sarcastic and ironical as the above quote may sound, it holds the unfortunate truth. Even in the 21st Century, women are routinely considered as inferior to men. Advocates of feminism are often wrongly labelled as ''man-haters.'' Feminism is nothing but believing that men and women are equal and should be treated with equal respect. As simple and fundamental as that. We at Gumtoo believe that every human-being should be a feminist. Period. The trail-blazing anti-sexual assault and women's empowerment movements #MeToo and #Time's Up have stirred up our consciousness, ideas and conversations about feminism and issues that women face. Like never before, women and men are opening up about their experiences due to forced gender rules, patriarchy and rampant sexism. In fact, Time Magazine named ''The Silence Breakers" as the Time Person of the Year, 2017. Tattoos are art forms that make powerful statements. Tattoos that signify feminism can spark off conversations about issues that plague women day in and day out. If you want to show your solidarity to feminism and female empowerment, a tattoo is a great idea. You can get customized fake tattoos (à la Emma Watson) on feminism or get inked permanently. The choice is yours. So, go ahead, be a part of the feminist movement. Junk the old ideas on how women are expected to think and behave. Be yourself and love yourself. 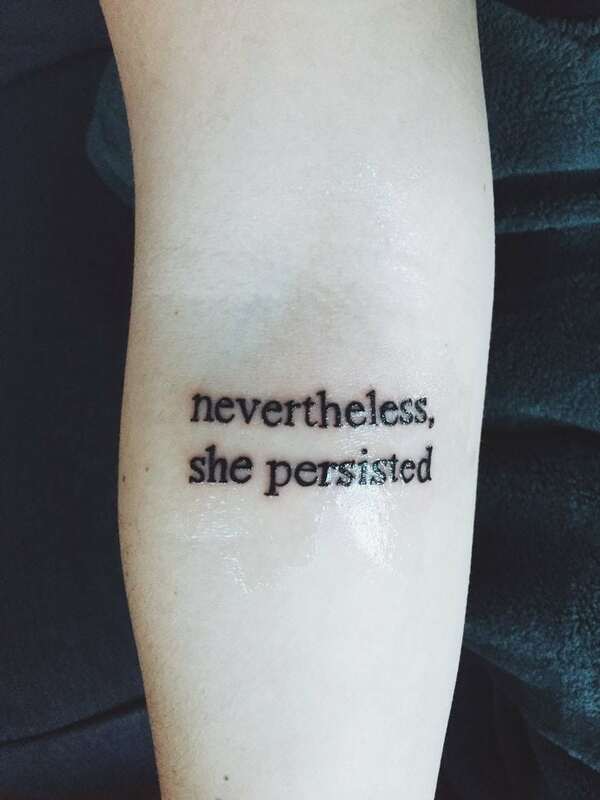 Check these 25 badass feminist tattoo designs and choose one for yourself. Say yay to Girl Power! 3. Say Yay to Girl Power! 12. We don't need no thought control, no approval! 19. Feminist, right up to my fingers! 20. Never underestimate Girl Power! 22. I am my own Saviour! 23. Not nice, but nasty! Which of the feminist tattoos did you like the most? Which one are you mostly likely to sport? You can get permanent or fake tattoos to show your solidarity to a cause. Fake tattoos are easy to sport, look fabulous, stay for 4-5 days, and are painless and easy to remove. 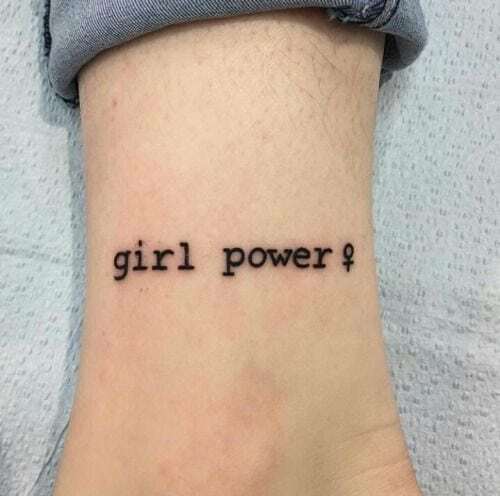 If you are a women's rights advocate/work with an organization that fights for women's rights/plan to organize events with feminism and women's rights in focus, temporary feminist tattoos are a fantastic idea to spread awareness for the cause. Gumtoo recently partnered with The Body Shop, Malaysia to make temporary tattoos that called for an end to child marriage. Check details of the campaign here. Write in to us at sales@gumtoo.com for ideas and designs on feminist temporary tattoos. We would be honored to be associated with a good cause.